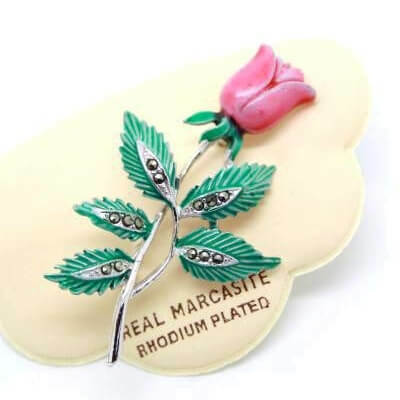 Description: This beautiful 1950s brooch features a stunning hand painted enamelled rose with pink and green shades. 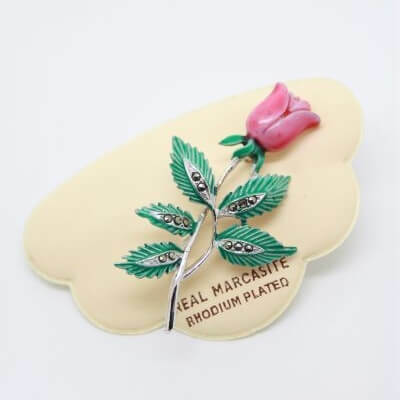 This stunning 1950s brooch features bright clean enamel. Set with marcasite stones in each leaf. 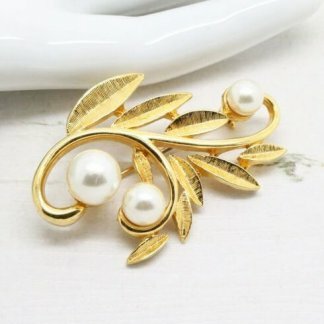 Listed as 1950s, although these brooches wear made from 1940s to 1950s. In good condition showing slight to no wear, complete with a strong roll lock clasp to the back. 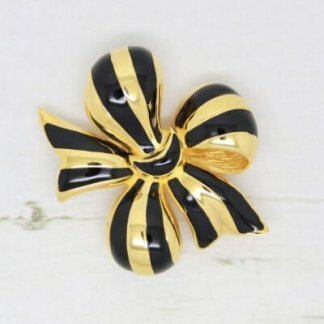 I just adore this brooch, it’s beautiful colours stand out among the crowd, and would look amazing with any outfit. 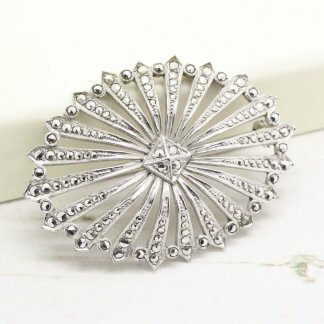 Perfect for wearing or collecting.